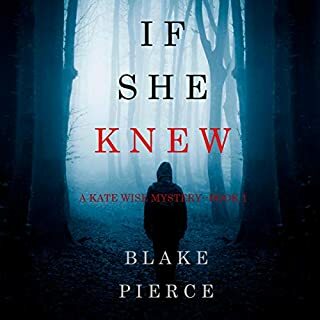 Fifty-five-year-old empty nester - and freshly retired FBI agent - Kate Wise finds herself drawn out of her quiet suburban life when her friend’s daughter is murdered in a home invasion - and she is implored to help. As Kate hunts the killer, she soon finds herself at the forefront of a manhunt as more bodies turn up - all suburban moms in perfect marriages - and it becomes apparent there is a serial killer stalking this quiet town. Homicide Detective Avery Black has been through hell. Once a top criminal defense attorney, she fell from grace when she managed to get a brilliant Harvard professor off - only to watch him kill again. She lost her husband and her daughter, and her life fell apart around her. Chloe feels life is finally perfect as she moves back into her hometown and into a new house with her fiancé. Her career with the FBI looks promising, and her wedding is on the horizon. But, she learns, all is not as it seems in suburbia. Chloe begins to see the underside - the gossip, the secrets, the lies - and she finds herself haunted by her own demons: her mother’s mysterious death when she was 10, and her father’s imprisonment. And when a fresh body is found, Chloe soon realizes that her past, and this small town, might hold the key to solving both. Criminal profiler in training Jessie Hunt is sure she's finally put the darkness of her childhood behind her. She and her husband, Kyle, just moved into a Westport Beach mansion. But soon after their arrival, Jessie begins to notice a series of strange developments. The neighbors - and their au pairs - all seem to be hiding secrets. The mysterious yacht club Kyle is desperate to join is rife with cheating spouses. 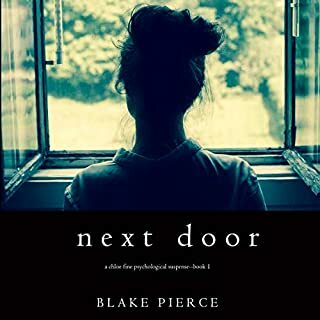 And the notorious serial killer being held at the psychiatric hospital where Jessie is completing her degree seems to know more about her life than is normal - or safe. 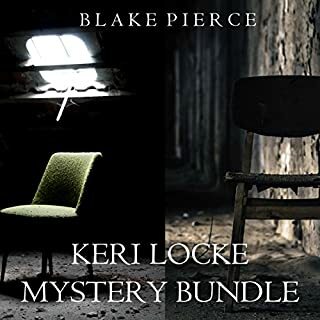 Crime reporter and amateur cyber-sleuth Tess McClintock returns home to bury her father, but what she finds buried in his attic makes her question everything she thought she knew about the mild-mannered trucker. 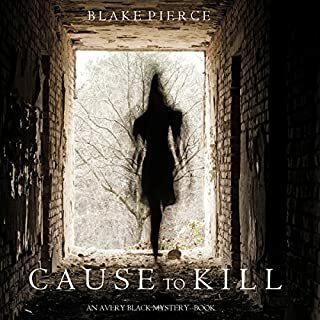 Twenty-two-year old psychology major - and aspiring FBI agent - Riley Paige finds herself in a battle for her life as her closest friends on campus are abducted and killed by a serial killer. She senses she, too, is being targeted - and that she must apply her brilliant mind to stop the killer herself. When the FBI hits a dead end, they are impressed enough by Riley’s keen insight into the killer’s mind to allow her to help. 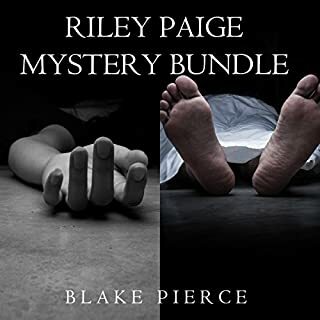 Yet the killer’s mind is a dark, twisted place, one too diabolical to make sense of, and one that threatens to bring Riley’s fragile psyche crashing down. FBI analyst Kassidy Bishop is assigned to the "'For You' Killer" task force after a series of sadistic murders bearing the same signature arise in different parts of the country. The homicides are both calculated and savage, occurring in different states, but bearing the same signature: the words "for you" scribbled at each crime scene. The case chills Kassidy, bringing back memories of her own encounter with a violent criminal five years earlier. When Detective Seth Harding responds to shots being fired, he faces a familiar sight: a double homicide. However, he is shocked to find a young boy chained in the basement. The terrified child refuses to speak, but Seth knows he is the key to something sinister. Reluctantly, Seth calls the only social worker he trusts with the traumatized boy - his wife. Carly is recovering from her own trauma suffered on the job, but she can't turn away from this case, not from another child in trouble. FBI agent-in-training Mackenzie White struggles to make her mark in the FBI Academy in Quantico, trying to prove herself as a woman and as a transplant from Nebraska. 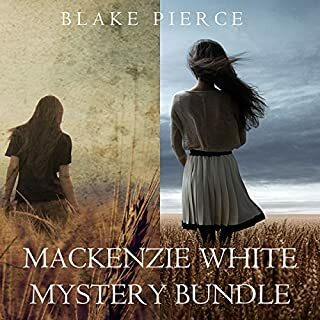 Hoping she has what it takes to become an FBI agent and leave her life in the Midwest behind for good, Mackenzie just wants to keep a low profile and impress her superiors. But all that changes when the body of a woman is found in a garbage dump. The murder bears shocking similarities to the Scarecrow Killer - the case that made Mackenzie famous in Nebraska - and in the frantic race against time to stop a new serial killer, the FBI decides to break protocol and give Mackenzie a chance on the case. It is Mackenzie's big break, her chance to impress the FBI - but the stakes have never been higher. Not everyone wants her on the case, and everything she touches seems to go wrong. 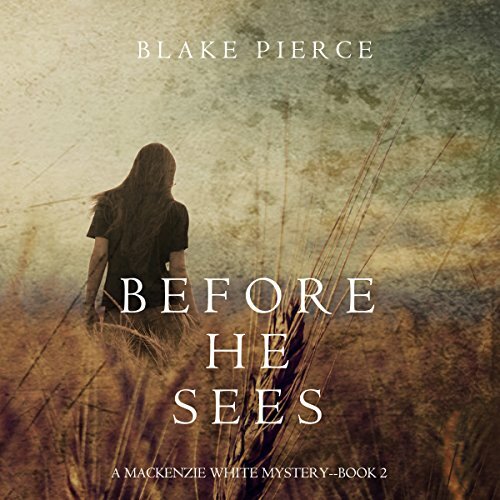 As the pressure mounts and the killer strikes again, Mackenzie finds herself as a lone voice in a sea of experienced agents, and she soon realizes she is in way over her head. Her entire future with the FBI is in jeopardy. A story set in DC about a female police officer from Minnesota becoming an FBI agent and solving serial killer cases is right up my alley! However, the performance was so incongruous with the story, I couldn't stay focused on it. All of the characters had British/Irish accents!!!! They are US FBI agents living in DC speaking with heavy accents! It was sooooooo distracting. While trying to graduate from FBI academy, an extremely talented woman is being book from solving a mystery. A really good story! Interesting characters and pretty engaging story but the British accent and pronunciation was disconcerting. Is only an issue on audio book. loved it, buying the series, i feel being its set in america with fbi agents, the narrator shouldn't be British, although her reading is superb. she really makes it exciting the accent is just off. Plot not believable, dialogue weak, shallow characters. Add to that a British accent for a Nebraska girl and FBI characters in Virginia. I could have enjoyed this story but why on earth would they have someone with a full English accent read this? It threw it off for me and was a huge distraction. Otherwise the story was an ok read. Best advice is to read this book to forego the head shaking resulting from British voice of narrator and use of British colloquialisms. What made the experience of listening to Before He Sees the most enjoyable? Again, as I have said in the previous book, the way she projects "the hard-headedness" of this detective. What other book might you compare Before He Sees to and why? Before He Kills, because they have the same detective, same problems. What does Elaine Wise bring to the story that you wouldn’t experience if you just read the book? Good book, Pierce just doesn't disappoint, I'm happy to say. Good story with a few areas where I had to willingly suspend disbelief that an FBI agent, or anypne, would make certain leaps of intuition. But the narrator rendered it non believanle. She does a great job, but this FBI story is no place for a full-on British accent. The heroine was SO dumb and by the time I got to chapter 33 I couldn't stand it anymore. I gave up. Also - why a British voice for a book about the FBI? ?